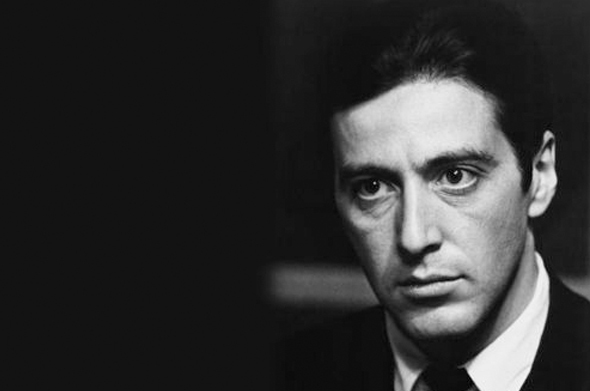 Michael Corleone in the third installment of the Godfather stated the now famous line, “Just when I thought I was out. They pulled me back in!” The Watchdog on Wall Street version might go something like this, “Just when I thought I have seen it all, they go ahead and do this.” I now present you with the latest installment of our Absurdity Collection. We are all aware of the ongoing problems at the Secret Service, their inability to lock doors, stay away from hookers, and tackle people. (My N.Y. Giants have that same problem.) Our regular listeners and readers are also aware of the comparisons I make between the actions of our government and of kings, dictators and despots. Take both of these issues together and I give you a moat. Representative Steve Cohen (D) TN proposed the idea at a committee meeting that a moat should be erected around the White House. “With hand gestures, Cohen suggested a moat roughly six-feet wide may be attractive and effective.” This is the same Steve Cohen who called Tea Party members “domestic enemies.” I give you neo-feudalism. The brilliant minds at the Huffington Post are demanding that Americans step up our fight against global warming because it has led to groups like ISIS. The U.S. Forest Service wants photographers to pay $1,500 for a permit if they plan to shoot any images on federally owned wilderness areas. This includes photos from smartphones. But wait there is more…after you purchase the permit you still need to get your photo approved by some government bureaucrat that will sign off that your photo is educational in nature. Who will be appointed the Photo Czar? For example: The NLRB recently sided with an employee of an auto dealership who cursed out the owner in a meeting to discuss compensation. The employee used some words that would most certainly get me a hefty FCC fine if I stated them on air. The employee told the boss that nobody liked him and that he would regret it if he fired him. The dealership did fire the insubordinate worker, and NLRB ruled that the business had violated the National Labor Relations Act. The NLRB said the employee was neither “belligerent” nor “menacing.”I wonder where the NLRB will come out on violence against the boss…a timeout perhaps. Fellow taxpayers, we have been cancelled. The Broadway musical that we as taxpayers financed was shut down in its infancy (after a few performances it was canned). Unfortunately, the reviews were not good. Maybe they will turn it into a movie? Never mind the six-figure plus salaries. Forget about the epic benefits. Do not mind the fact that they hardly ever work. Pay no attention to all the perks, fundraising, contract peddling and post career easy money. According to Virginia Democrat James Moran and many of his colleagues, members of Congress are underpaid. Jim Moran encapsulates the typical Washington politician and bureaucrat. His only real job was short-lived and he failed at it. He thinks that running a country that is $18 trillion in debt is somehow an act of heroism. Anybody, in any industry outside of Wall Street of course (they too have no shame) would be fired and never heard from again. In Japan, that monumental a failure would induce one to commit suicide. Yet, these pompous donkey derrieres think we should pay them more. I wrote a column back in 2010 making fun of the Chevy Volt and the fact that the car for all intents and purposes was completely illogical. So far this taxpayer subsidized over-priced piece of American liberalism has sold a grand total of 58,000. We are little short on Obama’s goal of having one million of these on the road by 2015. An old saying goes, “If at first you don’t succeed, try, try again.”The left wing version goes, “If at first you don’t succeed, blame someone else and spend, spend some more.”The public schools in Washington D.C., spent $29,349 per pupil according to latest data from the National Center For Education Statistics. This same district in 2013 had 83 percent of its eight graders rated not proficient in reading and 81 percent rated not proficient in math. That 29 grand would certainly pay for some pretty good private schools in the D.C. area. Another really sad example of failing schools is the district of Paterson, New Jersey where only 19 kids who took the SAT’s are considered college ready. Even more mind-boggling is this school district has 13 high schools. I wrote the column American Psycho back in November of 2011 regarding a study conducted by the Swiss research University of St. Gallen that proved scientifically what I have been ranting and raving about for years. The University found that the behavior of stockbrokers tops that of psychopaths when it comes to manipulation and recklessness. The Max Plank Sciences Po Center has once again made me feel smarter than I actually am, and proven me right when I describe economists like Paul Krugman and Joseph Stiglitz as arrogant jerks. Not to mention the facts that they have never run a business, written a business plan, come up with a marketing strategy, or make a payroll. If they tried, they would just end up tasking their Grad students to do it anyway. The website Government Executive which is run by the National Journal reported that the officials at the Denver offices of the Environmental Protection Agency had to send out an email to employees scolding them for not using the bathroom. No…they were not holding it in and waiting until they got home. EPA Deputy Regional Administrator Howard Cantor explained in his email that there were “several incidents” of bathrooms being vandalized by employees. The email states that toilets were purposely clogged with paper towels and employees were “placing feces in the hallway.”Of course, the solution to this problem was to spend more taxpayer money and hire a national expert on workplace violence to combat the fecalphiliacs.